The Division of Hospital-Based Medicine initiated the first Pediatric Hospital-Based Medicine Fellowship in Illinois in July 2015. 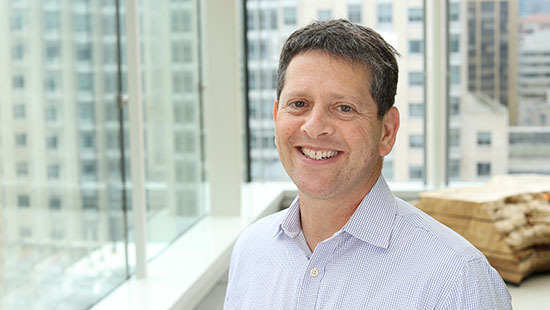 The fellowship program was founded to promote the development of leaders in academic hospital-based medicine and leverages the clinical and academic assets on the joint medical campuses of Ann & Robert H. Lurie Children's Hospital of Chicago and Northwestern University Feinberg School of Medicine. 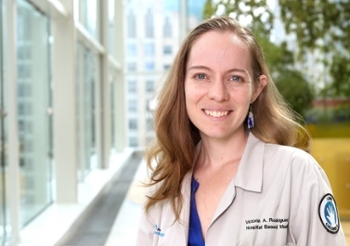 Fellows engage in diverse clinical experiences at our top-ranked, free-standing tertiary children’s hospital and in newborn care at Northwestern Medicine Prentice Women’s Hospital. Fellows benefit from protected research time and dedicated mentorship to support the development, completion and publication of a scholarly project. A core clinical curriculum and quality improvement education are included, as well as the option to pursue advanced degrees in public health, clinical investigation or quality improvement at Northwestern University. Our fellows are eligible to apply for tuition support for these advanced degree programs. The general structure of our program is provided in the table below. It aims to promote the development of clinical, academic and research-based skills. Our fellowship offers customized and flexible clinical training by allowing fellows to identify general pediatric and intensive care unit experiences that match their academic and career interests. Clinical experiences include a blend of independent and precepted rotations, with a progressive focus on clinical autonomy as fellows advance in their training. A core group of hospitalist faculty support the education and mentorship of fellows in each clinical arena in order to maximize evidence-based practice. Fellows can complete their research requirements by taking advantage of the myriad research opportunities and resources at Lurie Children’s and across Northwestern University. Faculty within the division currently have active research programs in the areas of population health services, health services research, outcomes science, clinical care, quality improvement, medical ethics/error disclosure, medical education and global health. Fellows are encouraged to consider obtaining advanced degrees through Northwestern University’s acclaimed master’s programs in Clinical Investigation, Healthcare Quality and Patient Safety, Health Sciences and Outcomes Research and Public Health. View a feed of our latest publications. We accept the common PHM fellowship application available at PHMfellows.org. Applications open July 1 and are accepted on a rolling basis. The deadline to submit an application is Sept. 15, 2019. Qualified applicants will be invited to interview on one of our fall interview dates. We participate in the NRMP match with rank list typically closing in late November. Match Day is in mid-December. Please send completed applications and letters of support, as well as any additional questions, to the director of corporate outreach, Deanna Grohmann.